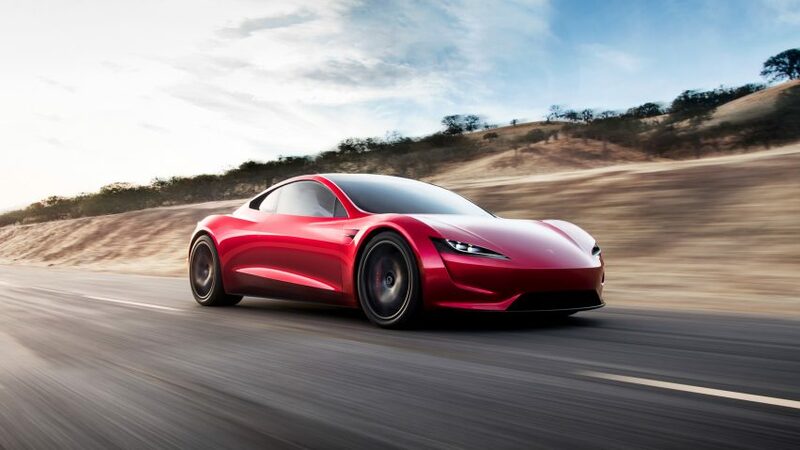 Elon Musk’s company Tesla has revealed its eagerly anticipated heavy goods vehicle and an unexpected sports car, both of which run on electric power. Both the Tesla Semi and Tesla Roadster were unveiled by billionaire entrepreneur Musk during an event in California. The Semi is the company’s first electric truck, which it claims can travel up to 500 miles on a single charge. The truck uses regenerative braking to recover 98 per cent of the vehicle’s kinetic energy as chemical energy stored in its battery. Designed for optimum aerodynamics and comfort, the curvaceous cab has enough space for the driver to stand, and a centred steering wheel for better visibility. 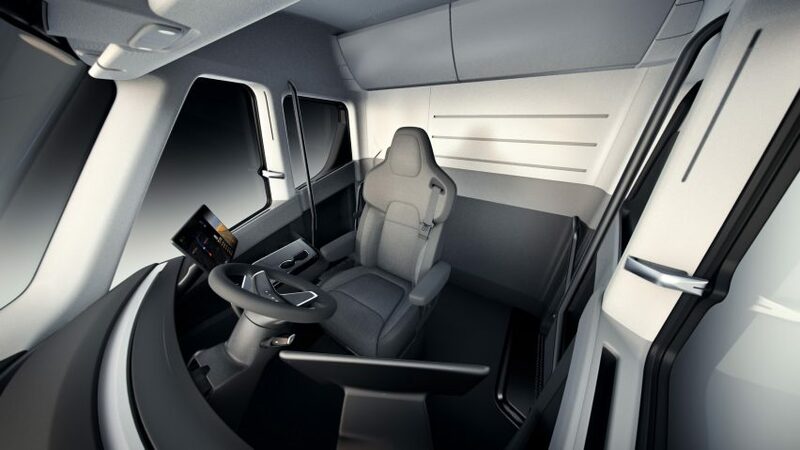 “The Tesla Semi will deliver a far better experience for truck drivers, while increasing safety and significantly reducing the cost of cargo transport,” said a statement from Tesla. The company released a series of statistics comparing the Semi to current diesel lorries. Among them, Tesla claims its truck is better at climbing hills – able to retain speeds of 65 miles per hour on a five per cent gradient, while diesel versions can only reach 45 miles per hour. Fewer moving parts in the Semi – which has no engine, transmission or exhaust system – indicates that it should require less maintenance. Safety features include an impact-resistant windshield, sensors that detect instability and react with twisting forces (torque) on each wheel to prevent jackknifing while braking. Camera feeds viewed on touch-screen displays aid visibility and minimise blind spots, as well as alerting the driver to potential hazards. 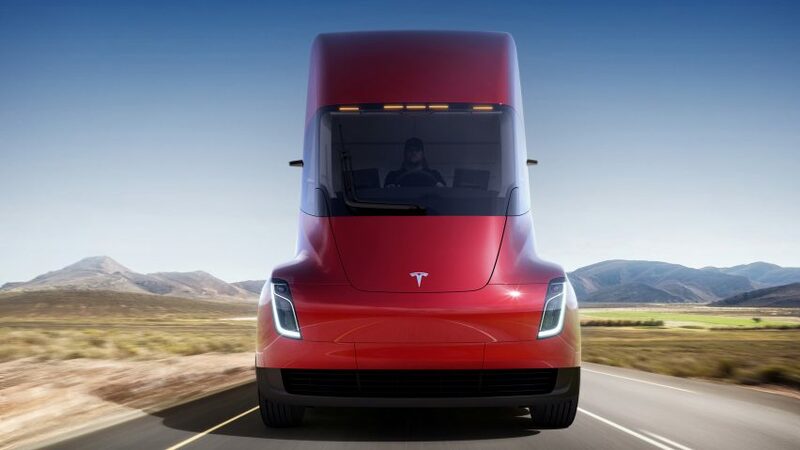 Tesla’s truck can also follow other Semis autonomously to form a convoy of several vehicles – a feature that Musk outlined in his masterplan for the company last year. Using new Megachargers, the trucks can be powered up in 30 minutes to travel 400 miles. The batteries are designed to support repeated charges for up to one million miles. 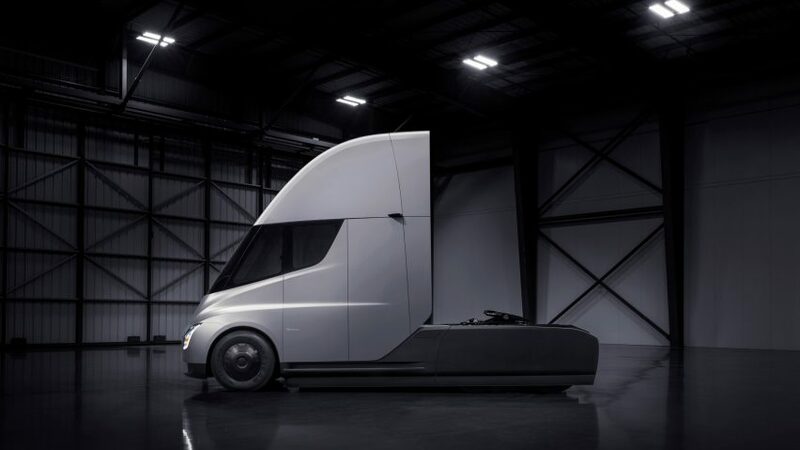 “Overall, the Semi is more responsive, covers more miles than a diesel truck in the same amount of time, and more safely integrates with passenger car traffic,” Tesla said. 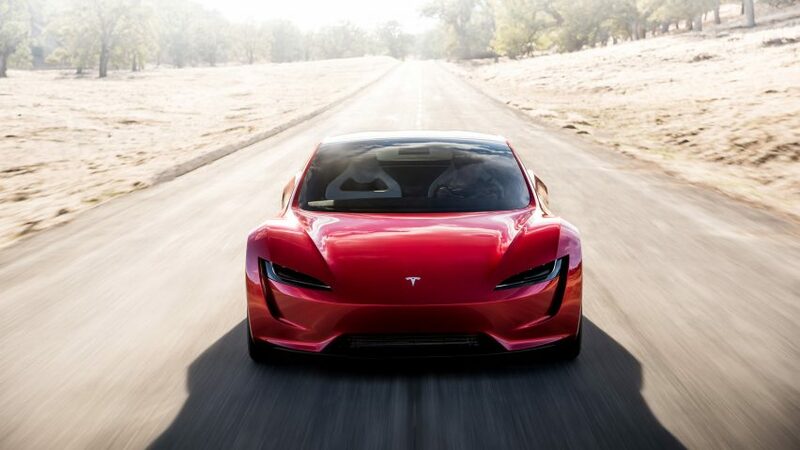 The company also surprised with the unveiling of a new version of its Roadster, which can accelerate from zero to 60 miles per hour in 1.9 seconds. With a top speed of over 250 miles per hour, it is set to become the fastest production car in the world. 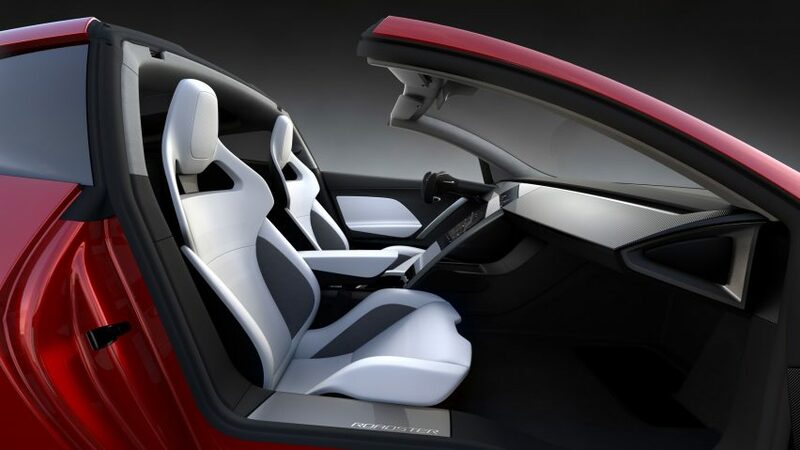 The four-seater convertible boasts a 200 kilowatt-hour battery pack and a 620-mile range, as well as three motors, all-wheel drive, and torque steering. Tesla debuted its first Roadster in 2008, and released an upgraded version in 2015. Musk founded California-based Tesla in 2003, and has since launched a range of electric vehicles including the Model S, Model X and Model 3. The company is also developing fully autonomous cars. Musk is heavily involved with several other companies focussed on the future of travel. He heads-up SpaceX, which is gearing up to send manned missions to Mars as soon as 2022, and came up with the original concept for the Hyperloop high-speed travel network that is being developed in several locations around the world.